This workshop will be taught be Juliette Williams, made possible through the Artists in Communities grant as part of I AM HERE. Both workshops have limited space and you must RSVP AT Eventbrite prior to class. CLICK HERE for more information and to register. 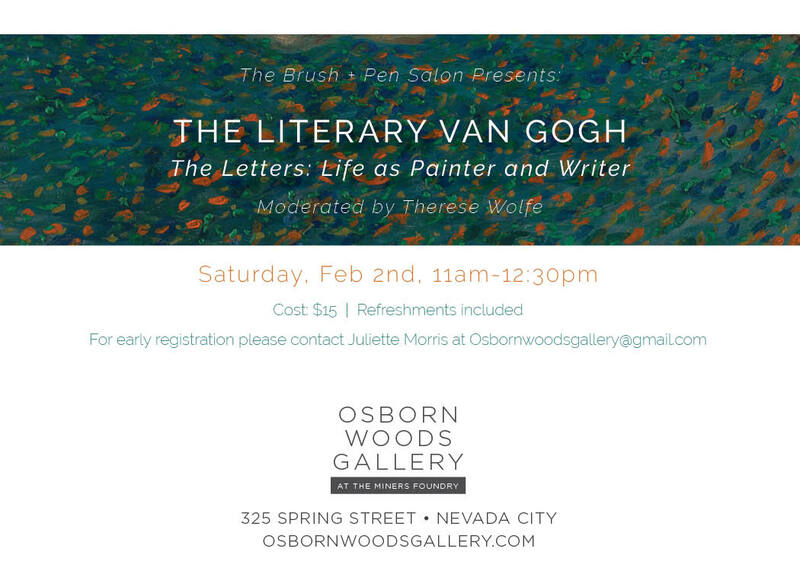 For Tickets to the Brush and Pen Salon, please click the button below. Please come to visit us! We are stop #44 - we'll have music, snacks, a wine bar, tea and hot chocolate, and LOTS of art and demonstrations! 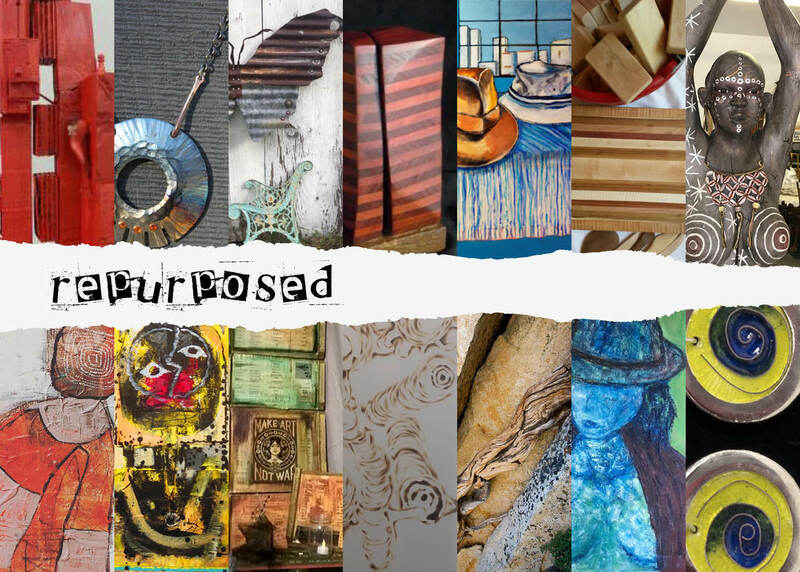 ​Please join us on Friday, August 3 from 6 to 9 PM for REPURPOSED, a new show at the Osborn Woods Gallery at the Miners Foundry. 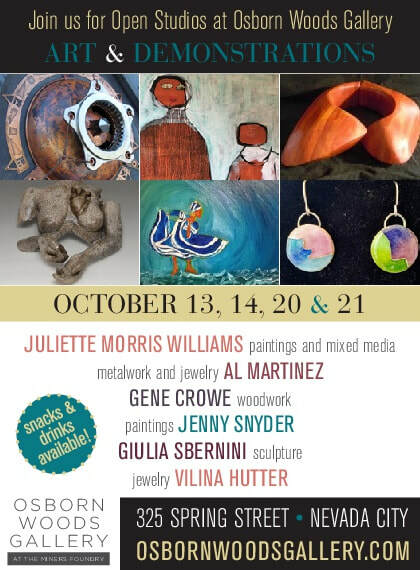 15 local artists gather to celebrate the beauty of found or old objects by giving them new life. The show runs through Labor Day, and ends with an End of Show party September 1, 2018. August 3 is also the last First Friday in Nevada City, and we will celebrate with a live forge demonstration and some other surprises! Come join us for music, food and great local re-purposed art! 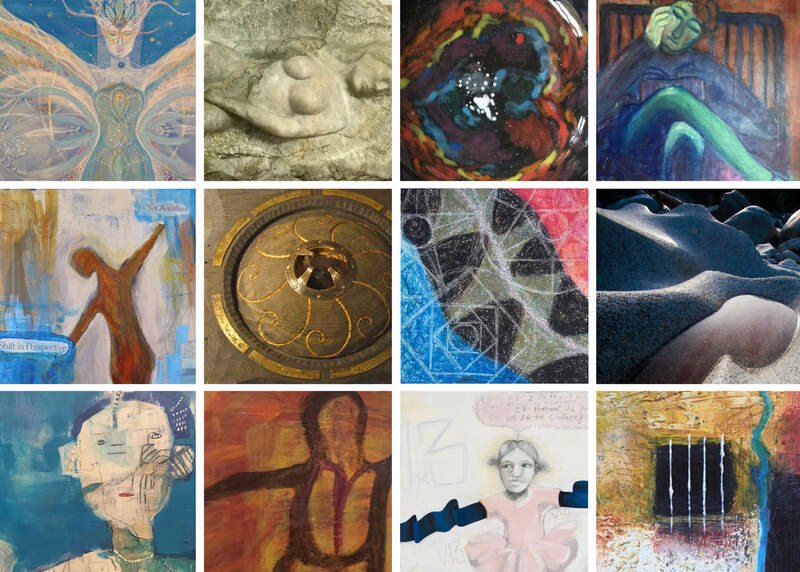 Osborn Woods Gallery announces ELEMENTS, a new show opening on First Friday Artwalk, July 6. 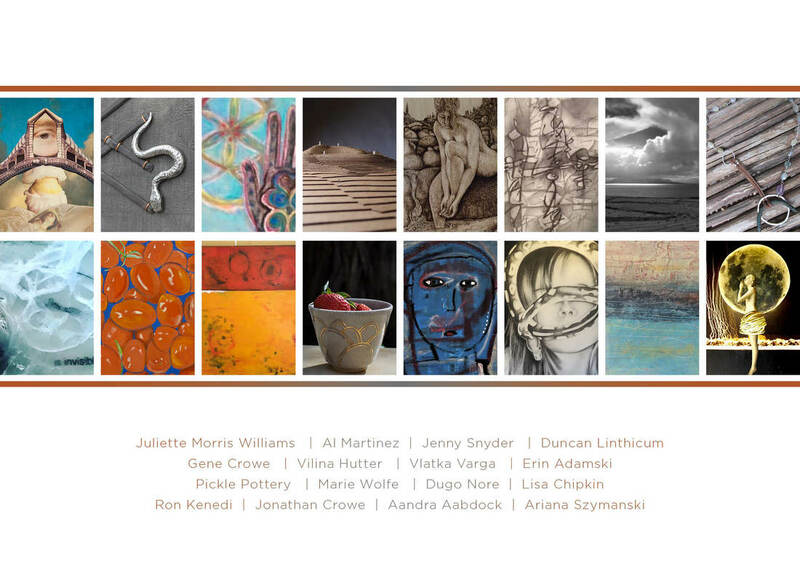 ELEMENTS features 14 local artists showing in a variety of styles, ranging from sculpture to photography, painting and jewelry. The theme was left purposefully open to interpretation, and because of this the call was answered in many powerful ways. Come join the artists at the opening on Friday, July 6 from 6 to 9 PM, and enjoy good conversation, great art, food and live music. The Palazzo lights and candles will be lit, and we look forward to seeing you! 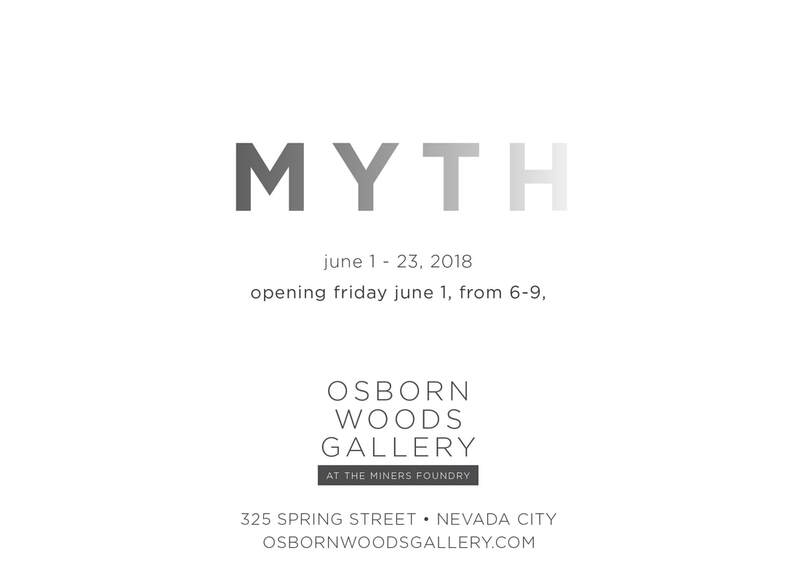 ​MYTH is a new show opening on June 1, which is also the beginning of Nevada City First Friday events. 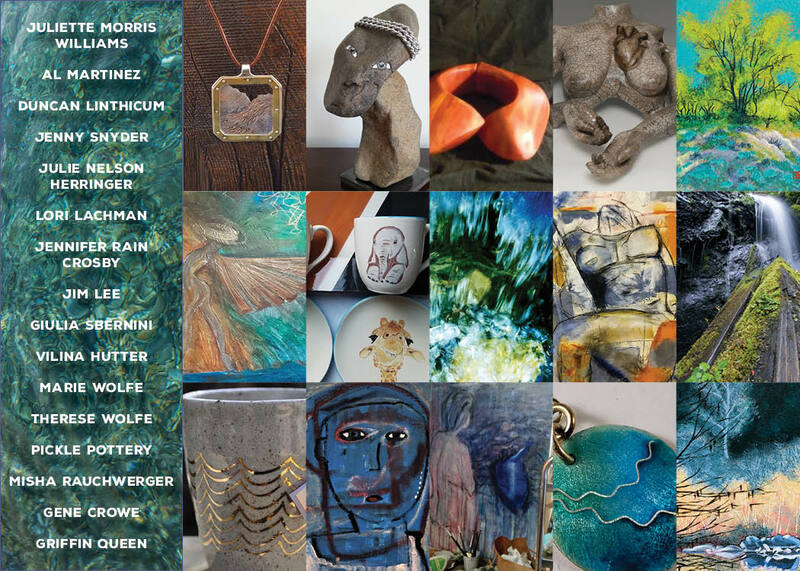 MYTH features the work of 15 local artists, including sculpture, paintings, photography, jewelry, and handmade books. Come and enjoy the work and company of these artists as well as music, a bar, and food. As the sun sets, the candles and Palazzo lights will come out as well! This is a truly beautiful show. 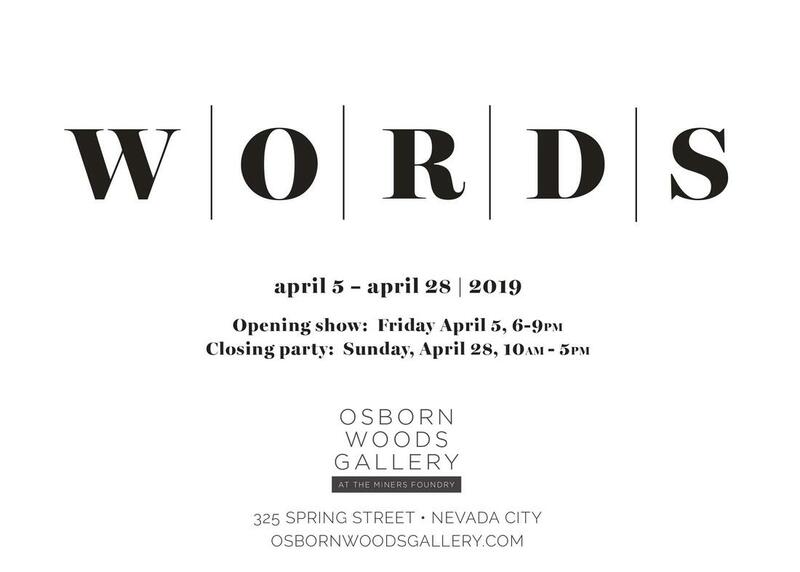 A beautiful new show opens Friday, May 4 at the Osborn Woods Gallery. 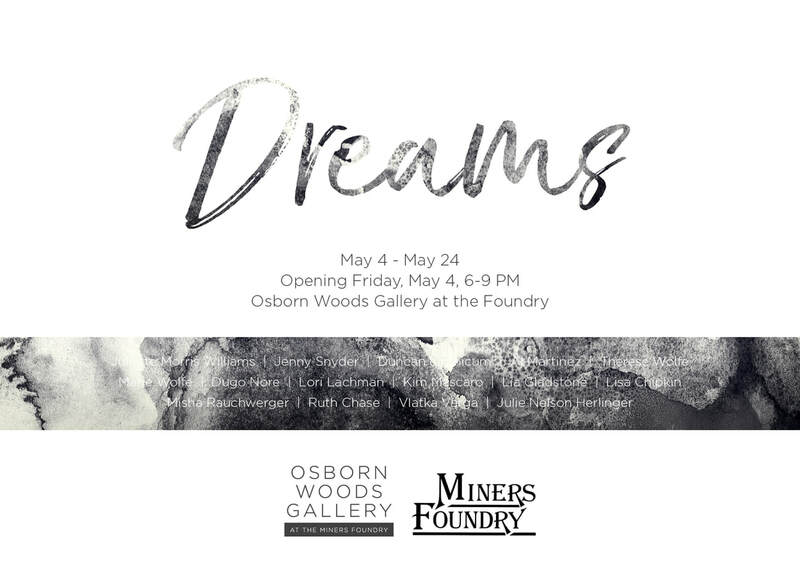 16 artists, several of them new to exhibiting in Nevada County, will show their work with the new theme, DREAMS. From incredible new photography, marble sculptures and paintings to multimedia sculpture and jewelry, this show is like walking into a jewel box. 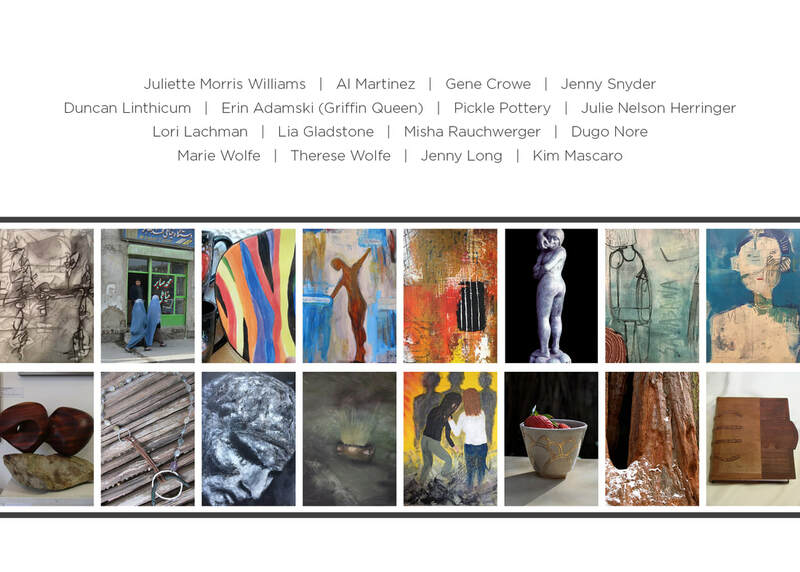 Come out to the opening and meet the artists, Friday May 4 from 6 to 9 PM! Come out for an afternoon of creating poetry and your own chapbook/zine! You do not have to be experienced in zine making OR in poetry. All ages welcome! 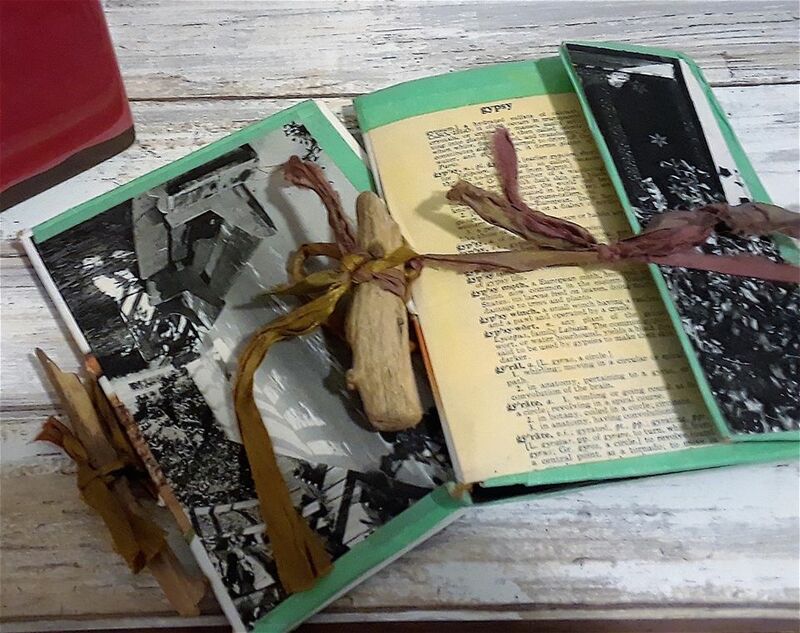 You will be able to create your own zine, write poetry on our poetry wall, listen to spoken word poetry, and learn about book and booklet binding from bookmaker Al Martinez! Free of charge. Come out and celebrate Poetry Month! 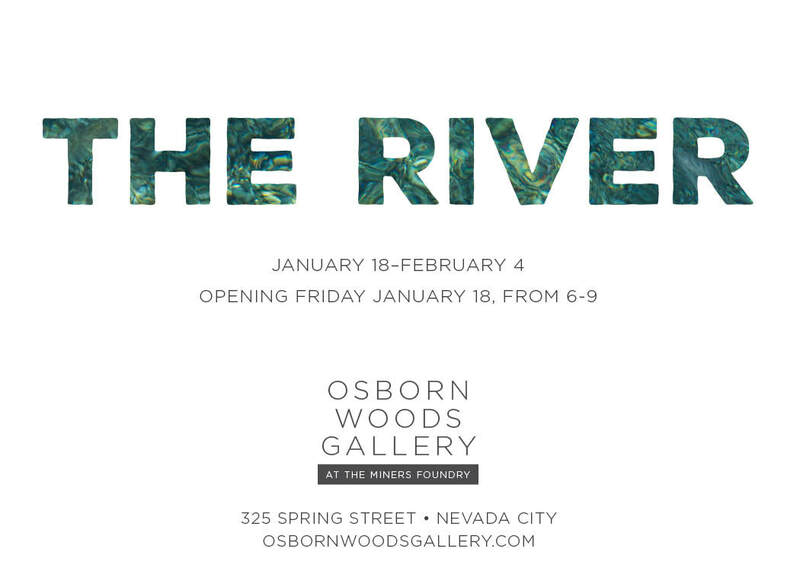 A new show and fundraiser is opening on Friday, March 9 at the Osborn Woods Gallery at the Miners Foundry. The show is called COMMUNITY, and is focused on the idea of community helping each other to grow and flourish. There will be a party and fundraiser at the show opening on March 9. 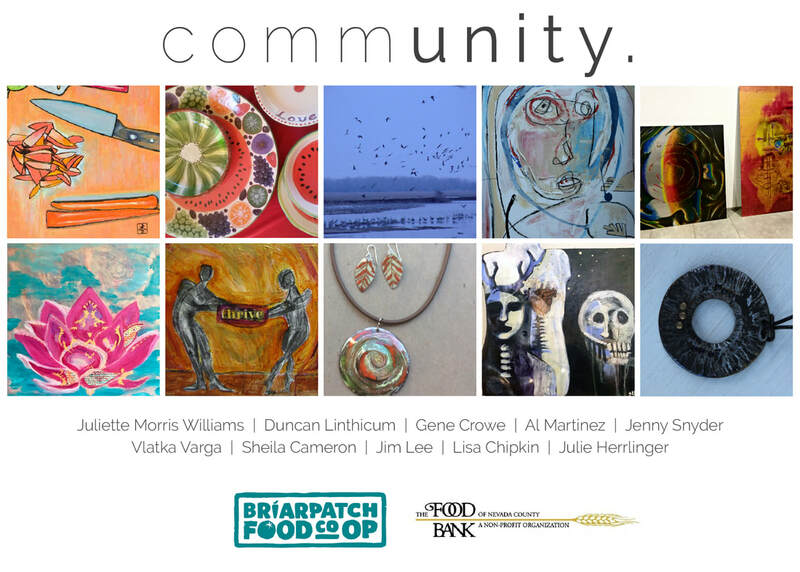 From 6 to 9 PM, we will gather to honor and benefit the Food Bank of Nevada County, with a raffle featuring beautiful artwork and jewelry from local artists, and a gift basket from Briar Patch. The opening will feature members from the Food Bank, and there will be food, music and a bar. Come out to celebrate and honor the Food Bank, who works so hard to give everyone in Nevada County something to eat, regardless of their circumstances. The show, which features the work of 10 local artists, will run from March 9 to March 30. 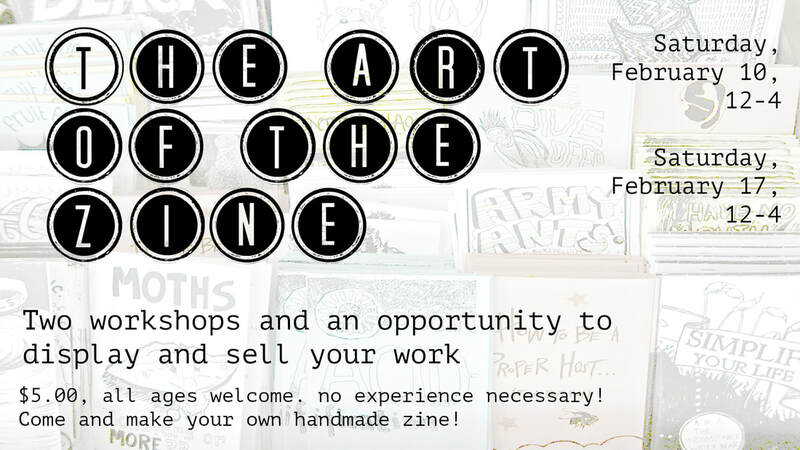 Everyone - all ages, non artist, artist, zine expert, zine beginner - is invited to participate in THE ART OF THE ZINE. Each workshop is separate, but you are welcome to attend both. In the workshop, we will explore the many different types of zines, and work on our own individual zines as well. Lots of time for exploration, sharing your ideas and the opportunity to display and sell your work at the gallery! $5.00 fee includes Foxhound Coffee and cookies and hours of FUN! ​logo design by Lyssa Skeahan.